Forget 90210; 93108 is one of the richest in the country. Here you will find the city of Montecito, along with some of the most beautiful beaches in California. The Montecito Deep Seating Collection by Woodard has a 93108 appeal; this is a top-shelf, upscale, and completely cool patio furniture. The Montecito is all about excess from the oversized armrests to the lavish cushions, to the substantial occasional tables. 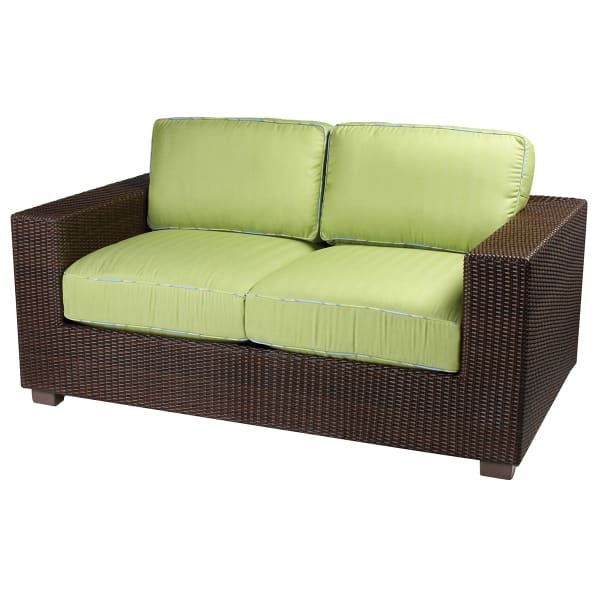 This contemporary collection is constructed of all weather aluminum and high density polyethylene wicker, and it has poly filled, quick drying cushions. 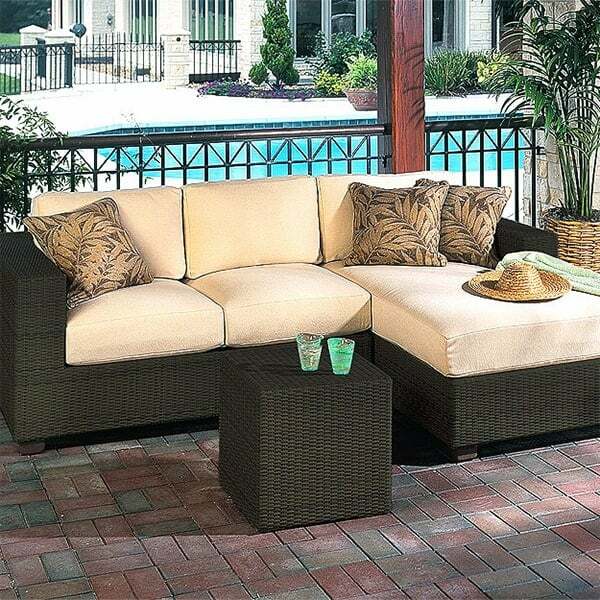 It is ideal for any outdoor location and requires no significant maintenance to maintain its stunning looks. 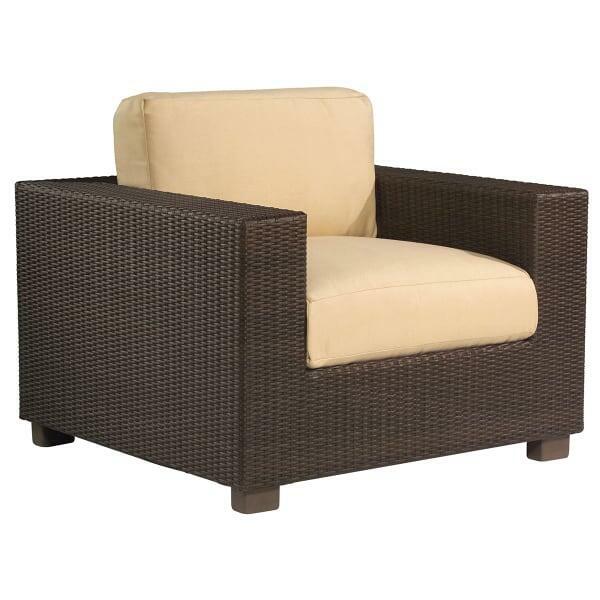 The Montecito Deep Seating Collection comes in a luscious Coffee finish and your choice of gorgeous outdoor fabrics, including the Sunbrella brand. 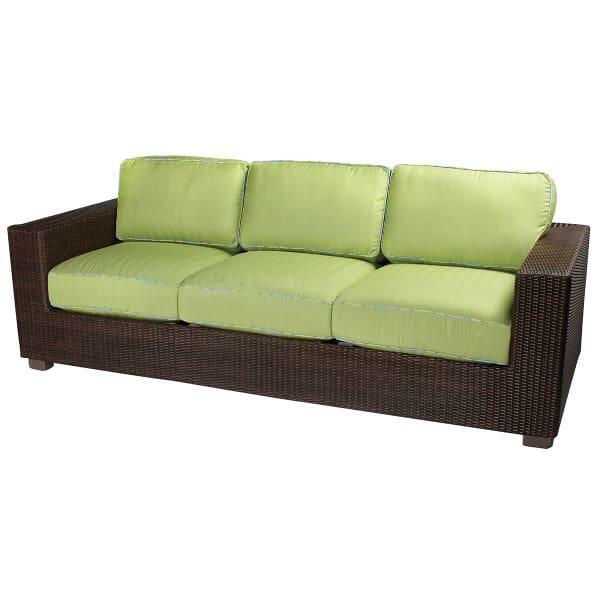 Relax like a celebrity in the Montecito Deep Seating Collection from Whitecraft by Woodard.